We were a little haphazard with our winter planting this year. The weather was off and our greenhouse got infested with slugs (I have since designed a slug-proof greenhouse we will be building this summer!).. We frantically planted seeds as our seedlings frantically died off. 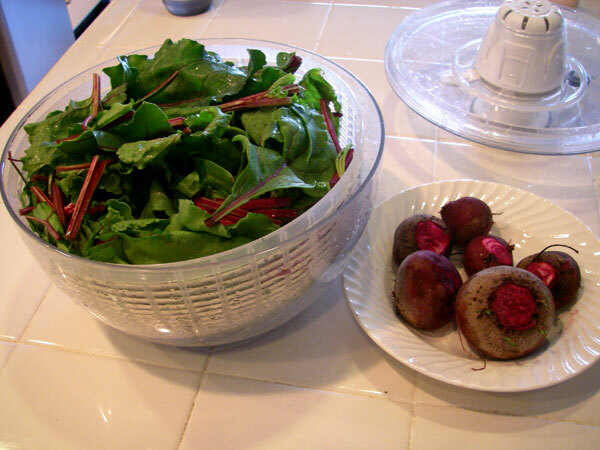 As a result, somehow microgreens got mixed up with swiss chard, and I ended up thinking beets were swiss chard. It wasn’t my intention to plant beets. I don’t like them. Freakishly red, weird textured, bland tasting. So I was surprised to see large bulbs on the bottom of my “swiss chard”. We harvested them, looked up a couple recipes, and decided to roast them in the oven with a light coating of olive oil. Just pulled from the garden and rinsed. Separated into bulbs and greens. 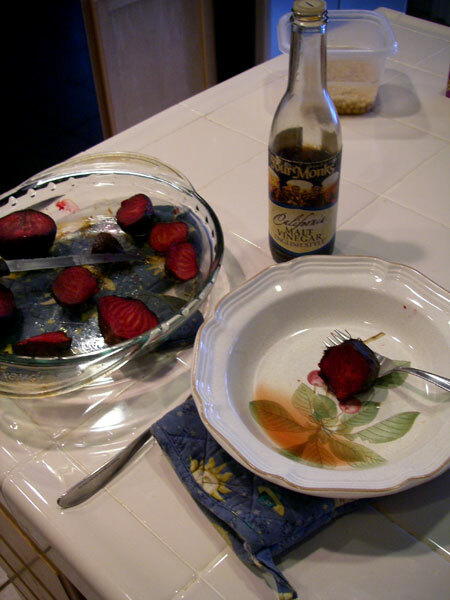 We ate the bulbs with malt vinegar. Roasted bulbs with malt vinegar. WOW. 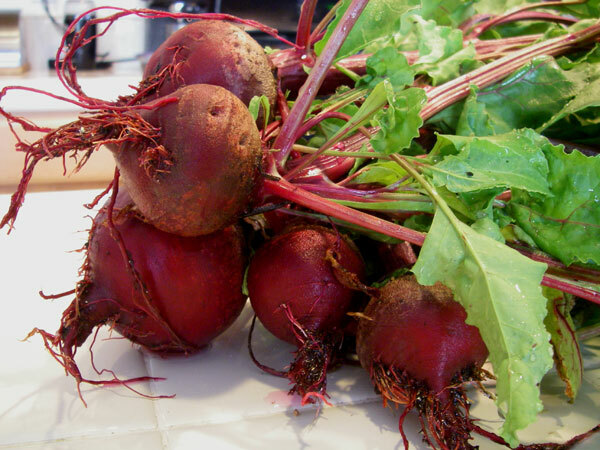 Fresh beets do not equal canned beets. Delectable, sweet, with a texture like a juicy potato. And not only that, but we ate the greens as well, pan fried with a bit of olive oil and soy sauce. Delicious! 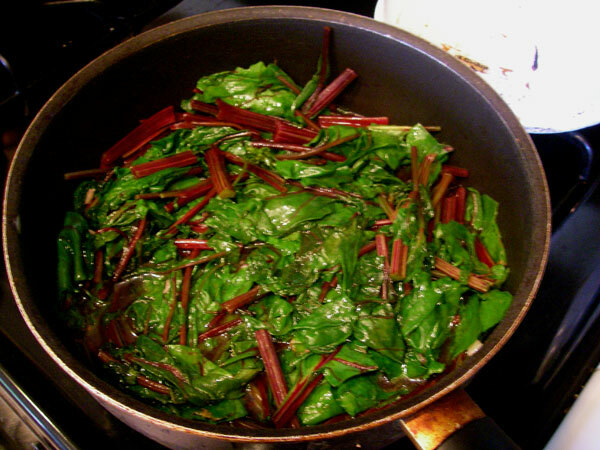 Tasted very much like swiss chard except sweeter. I’d highly recommend planting them. 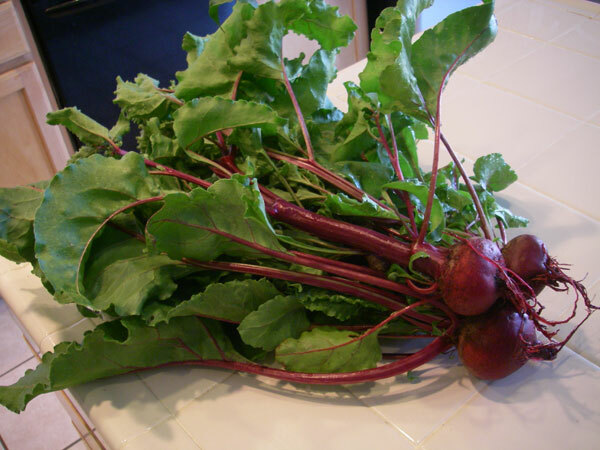 They do well in well-drained soil and are a cool-weather crop. Oh, and they turn your pee pink. Double-plus win!